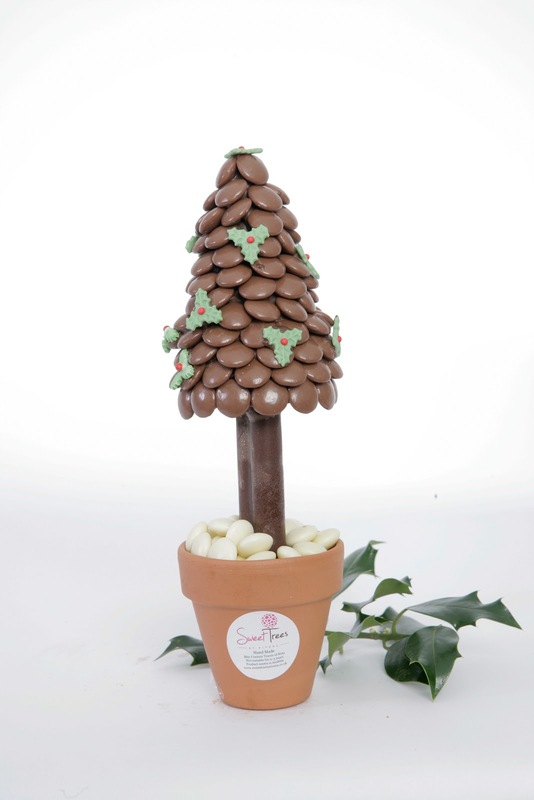 Festive Sweet Trees – the latest trend in Christmas treats. I found a fantastic website called Rustic Angels. www.rusticangels.co.uk who specialise in shabby chic, vintage and retro gifts and accessories. 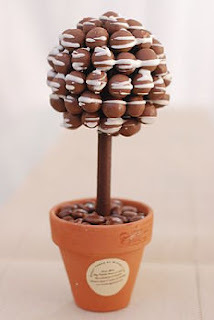 They do the new 'Sweet Trees' That everyone is going crazy for. I'm going to get the Christmas one for work! An incredibly cute, edible tree hand made from Maltesers, drizzled with white chocolate and planted with chocolate raisins – what could be a more sumptuous gift this Christmas? 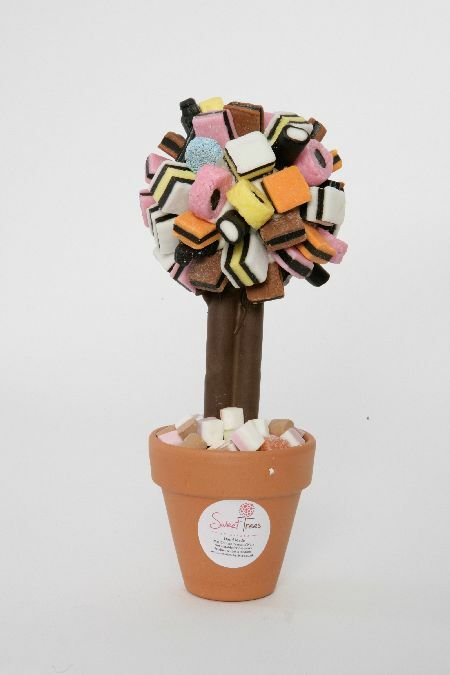 With their new range of handmade Sweet Trees, Rustic Angels have come up with a gift that would delight pretty much everyone on your Christmas list – and make the recipient extremely popular with the rest of the family! The Sweet Trees looks as good as they taste. Each tree sits prettily in a terracotta pot (not edible!) which is planted with chocolate raisins, fudge and coconut mushrooms, and stands approx. 30cm high, making a wonderful presentation gift, or table centrepiece. 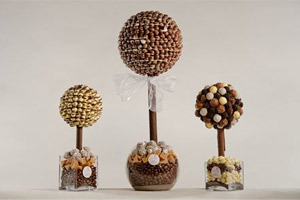 The sweets are lovingly arranged on the tree so they are easy to pick one by one for pure indulgence at the end of a leisurely meal, or can be sneakily plucked by passers-by when no one is looking! Sweet Trees and many other beautiful vintage, retro and French country gifts and home accessories are available from http://www.rusticangels.co.uk.